Thailand becomes the first Southeast Asian country to legalize medical cannabis after a parliamentary ruling Tuesday voted to amend the country’s 1979 Narcotic Act. The motion was approved by a nearly unanimous vote with 166 members of the National Legislative Assembly voting in favor, 13 abstaining, and none opposing. “This is a New Year’s gift from the National Legislative Assembly to the government and the Thai people,” said Committee Chairman Somchai Sawangkarn. Traditionally used in medicine, the practice was outlawed after a 1930’s ban opened the door to harsh punishments for drug use and possession in Thailand. It is the first country in Southeast Asia to take such action, which is also under consideration in neighboring Malaysia. New Zealand’s government earlier this month enacted a law liberalizing the medical use of cannabis, which had previously been tightly restricted. Although recreational cannabis use is still prohibited, patients will be permitted to carry a specified amount if provided a prescription or doctor-certified note, the Bangkok Post reports. The bill introducing the legislative changes had noted that recent studies have shown that cannabis extract has medicinal benefits, which has prompted “many countries around the world to ease their laws by enacting legal amendments to allow their citizens to legally use kratom and cannabis for medicinal or recreational purposes.”It added that despite being classified as an illegal drug, many patients have used cannabis to treat their diseases. However, regional activist groups say they will continue to push for complete legalization. The changes, which become law when published in the Royal Gazette, legalize the production, import, export, possession and use of cannabis and kratom products for medical purposes. Purveyors, producers and researchers will need licenses to handle the drugs, while end-users will need prescriptions. Recreational use of the drugs remains illegal and subject to prison terms and fines commensurate with the quantities involved. Public hearings showed overwhelming support for the measure. 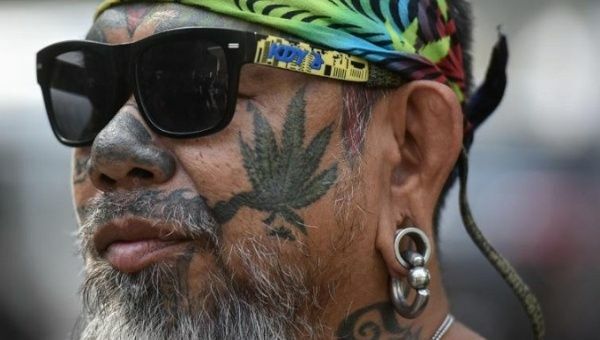 Thailand follows a trend of forward-thinking politics which have opened the door to legalized cannabis around the world, specifically in countries such as Uruguay, Canada, Jamaica, Mexico, South Africa, and Colombia. Be the first to comment on "Thailand becomes first southeast country to legalize medical cannabis"